Sammie McCoy is a girl with a plan: graduate at the top of her class and get out of her small town as soon as possible. Nothing will stand in her way--not even the rare genetic disorder the doctors say will slowly steal her memories and then her health. So the memory book is born: a journal written to Sammie's future self, so she can remember everything from where she stashed her study guides to just how great it feels to have a best friend again. It's where she'll record every perfect detail of her first date with longtime-crush Stuart, a gifted young writer home for the summer. And where she'll admit how much she's missed her childhood friend Cooper, and the ridiculous lengths he will go to make her laugh. 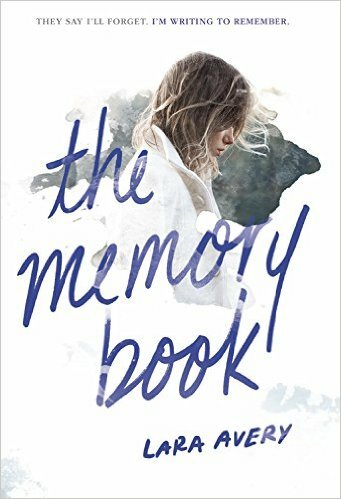 The memory book will ensure Sammie never forgets the most important parts of her life--the people who have broken her heart, those who have mended it--and most of all, that if she's going to die, she's going to die living. This moving and remarkable novel introduces an inspiring character you're sure to remember, long after the last page. Sammie McCoy is a senior in high school with amazing plans for her future. She’s the valedictorian of her class and is planning on going to New York for college to become a lawyer. The only problem is that a few months ago, Sammie was diagnosed with a very rare genetic disorder that causes memory loss and other problems. In comes “the memory book”. The Memory Book is Sammie’s journey. She decides she’s not going to let her disorder take away her dreams and who she is so she begins to write everything down so she has something to remind her who she is. The Memory Book shows us her strength and dedication while dealing with this horrible condition, as well as a lot of firsts for Sammie. Once I started reading this book, I couldn’t put it down. One thing I really loved about THE MEMORY BOOK was Sammie’s strength. I know this is fiction, but Sammie was such an amazing, optimistic female. Her condition didn’t define who she was which I think is an important message for everyone. And what is a YA book without a sweet love story? The love story in The Memory Book was super sad, but so incredibly honest. I don’t want to say more because THE MEMORY BOOK isn’t a book to be told about, it’s one you have to experience.